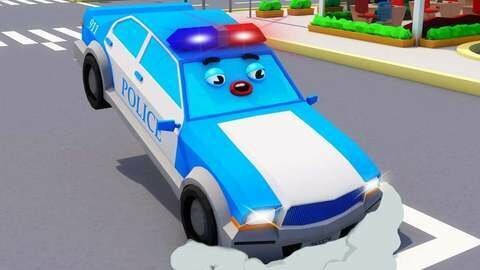 Two race cars are up to no good in this car cartoon for kids but the police car is there to chase them. Unfortunately, the two split up so that the police car can’t chase both of them. Luckily, the fire truck helps the police car so they can catch both race cars who were up to no good. Go and visit SeeZisKids.com to catch more full episodes of the best car cartoon videos.